Photo: Our children at the Manila Children’s Hope Center are very happy about their new after-school care facility and the news of more improvements on the way. We are happy to report that more improvements have been made to our Children’s Hope Center program in the Payatas Landfill Colony of Manila. By keeping the children successfully enrolled in school we can keep them out of the extremely hazardous child labor that goes on in the Payatas Colony, and also give them much better chances of avoiding the perils of human trafficking which currently plague Manila. It is estimated that over 60,000 children are involved in child prostitution in metro Manila, with its staggering population of 23 million. We celebrated the construction of a permanent building in September 2016. The last phase of our construction efforts at that time were focused on completing the tile work on the entrance of the building and in the kitchen, painting the walls, and furnishing the building with bookshelves, tables, and chairs. This month we were able to purchase 24 armchair desks and a whiteboard to use in our after-school program. Our director Malaya and her 4 volunteers previously had to write on paper hung on the walls, so they and the children are very excited about these new developments to the Hope Center. We had some minor complications in connecting the electricity, but we are working hard to solve those problems and we are near a solution — the connection should be turned on soon. We also received some additional ceiling fans, so our children will soon have everything they need to stay cool during the warmest months. 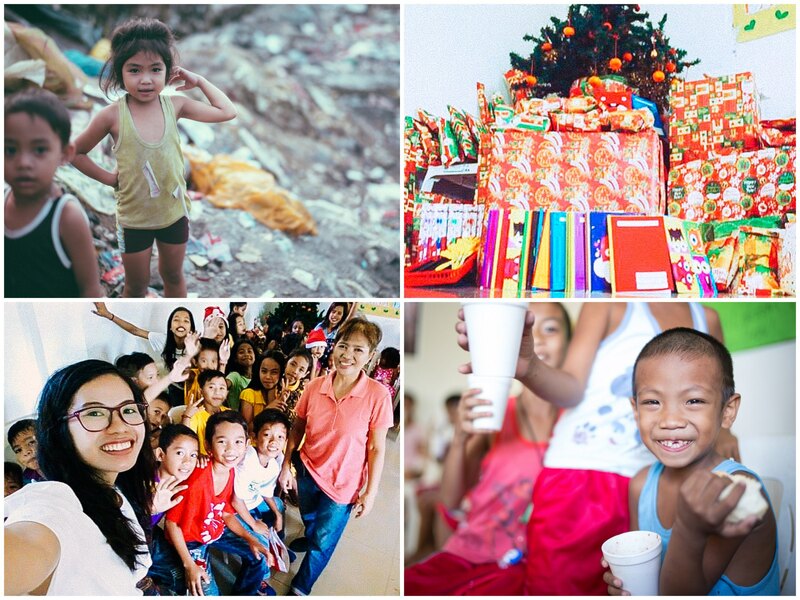 Photo inset: (Top-left): Our Manila Children’s Hope Center program is located in the Payatas Landfill Colony, where many children are involved in extremely hazardous child labor. (Top-right): The children enrolled at the Hope Center were given a Christmas party recently where they received gifts of toys, notebooks, and personal hygiene items. (Bottom-left): Our Manila Children’s Hope Center team are pictured here with some of the children enrolled in the program. (Bottom-right): Our Hope Center provides nutritious snacks and fresh-cooked meals to all of the children. We currently have 100 children (ages 4-18) enrolled in our Children’s Hope Center program in Manila. 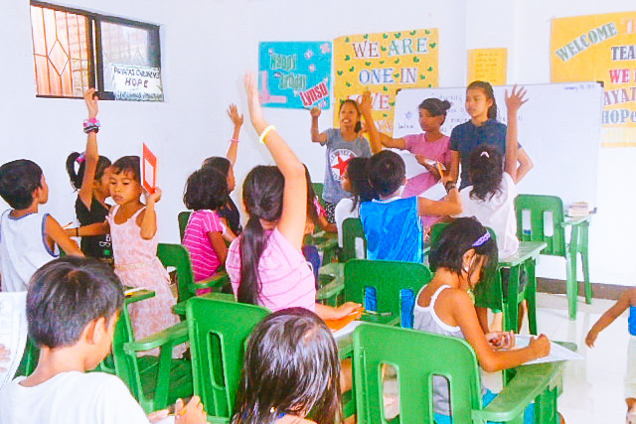 In addition to the children receiving tutoring help with their homework in the subjects of math, English, science, and their native Filipino language, we are also focusing on the problem of illiteracy amongst impoverished children since our older children enrolled in the program cannot read well, and the younger children cannot identify numbers or letters. This is an important part of our daily after-school care program which has proven so successful in our other Children’s Hope Centers. The children can also work on the computers, and get snacks and a fresh-cooked meal such as soup, vegetables & rice, or nutritious Malunggay porridge made from the leaves of drumstick trees before going home for the day. The new building also enables us to offer Bible study for the children every Saturday, and conduct VBS style activities during the rainy season in the summer. The children of the community have come to love the activities of the program which include group games, art, singing, dancing, and learning how to make crafts for their parents. In other good news, our native team threw a Christmas party for the children on December 23. The children were given wrapped gifts of toys, notebooks, and personal hygiene items such as toothbrushes, toothpaste, antibacterial soap, shampoo, cotton balls, and bathing sponges. The children enjoyed a special meal of rice & vegetables and fried chicken, and played popular local games such “Trip to Jerusalem” and relay races — individual and group winners received prizes of candy and toys. The children were so thankful for the fun Christmas party and the gifts they received. Thank you for your prayers and faithful support which enable our native team to continue their hard work of enriching the lives of our children, breaking the cycle of poverty, and rescuing them from child labor.